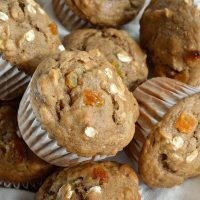 If you are looking for a quick, satisfying and delicious breakfast, this Banana Bread Breakfast Muffins Recipe is for you! 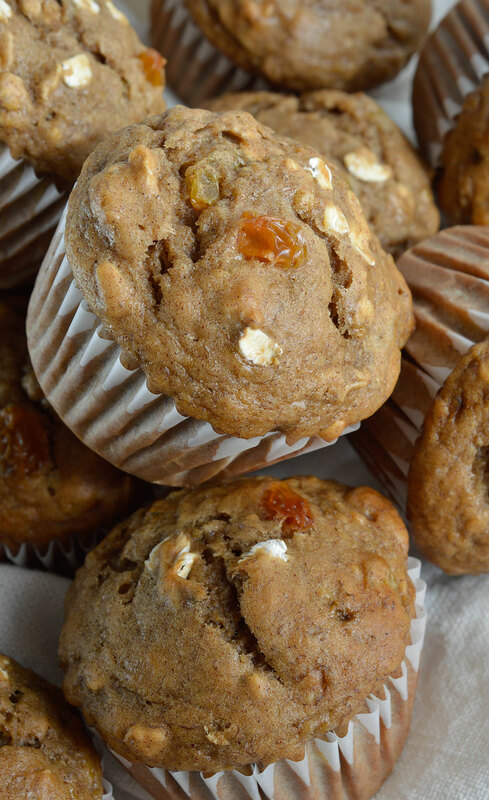 These muffins are perfect with your morning cup of coffee. This post was originally published March 16, 2015. Really I should say, how to make easy breakfast muffins that the kids will actually eat. We make them semi-healthy. 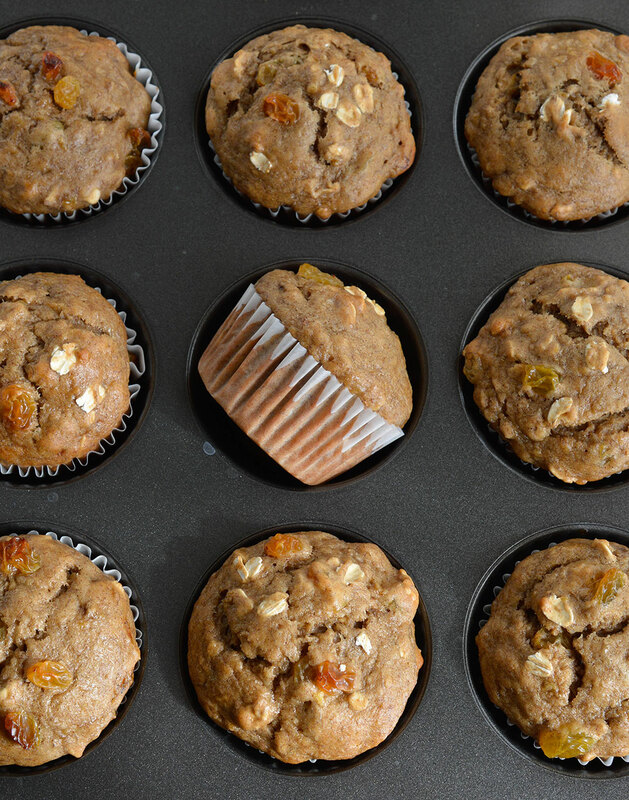 I’m not getting no side-eye first thing in the morning when I try to slip my daughter a grain free paleo muffin. Nope. These muffins do have sugar but it is a reasonable amount. They also have some oats, raisins and bananas in there for extra nutrients. Step 1: Preheat oven to 350ºF. Mix dry ingredients and set aside. Mix wet ingredients then slowly add the dry ingredients. Gently stir in the oats and raisins. Step 2: Divide batter between 18 muffin tins and bake for 20-22 minutes. Mix flour, baking soda, baking powder, salt and cinnamon. Set aside. Mix bananas, sugar and butter. Add in eggs and yogurt. Mix. Slowly add dry ingredients while mixing. Divide batter between 18 muffin tins lined with muffin papers. *If your bananas aren't overly ripe, bake them at 250°F for 5-10 minutes or until brown. Muffins are best if used within 3 days. Such lovely plump muffins! I’d be happy to eat one right now, and then again in the morning for breakfast! These muffins would be great to wake up to. I’d love to have this with my morning coffee. Eating these muffins while flipping through magazines sounds like my perfect day! I’d love to start the day with these muffins and a great magazine. 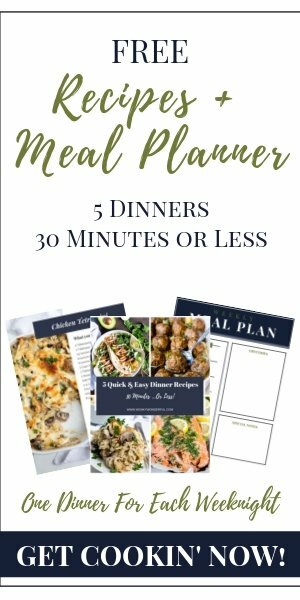 Oh I love this recipe! I’ll probably have to make half the serving though, otherwise I’ll devour the whole thing haha great recipe, thank you!